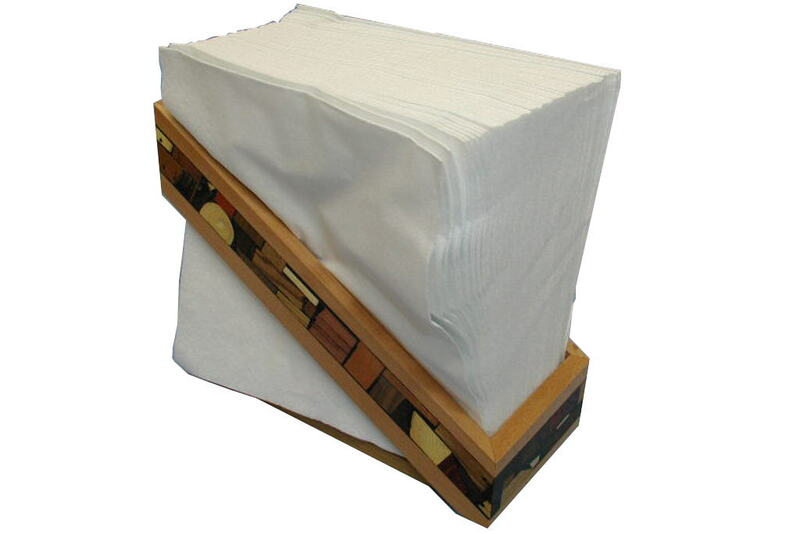 At last a Matzah holder that doesn’t take up half the table! 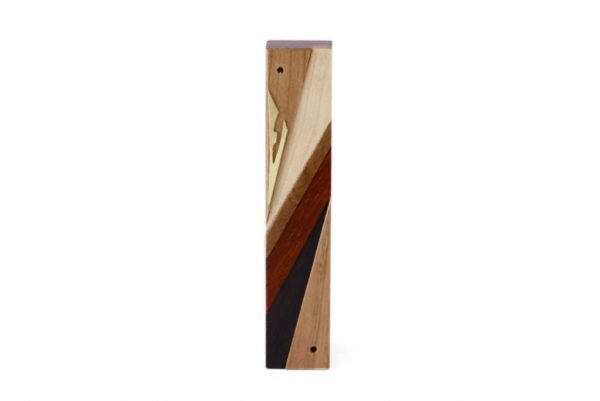 This wood and wood mosaics matzah holder keeps the matzah upright for easy access to a piece of Matzah cracker. Yum! 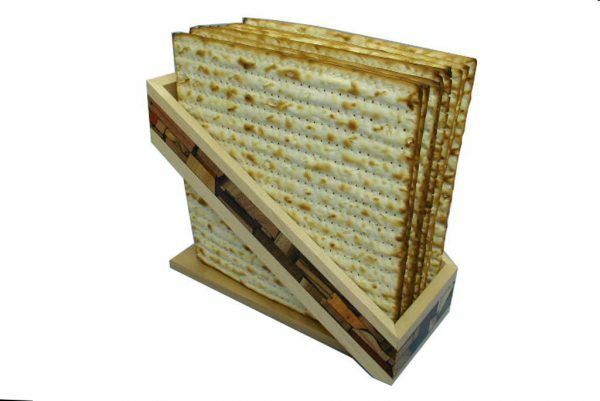 At last a Matzah holder that doesn’t take up half the table! 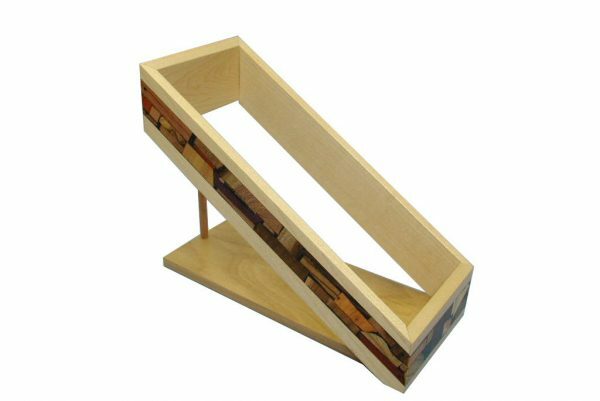 This wooden Upright Matzah Holder keeps the matzah upright for easy access to a piece of Matzah cracker. Yum! It is decorated with Etz-Ron’s unique wooden mosaics using over 30 woods from Israel and the world, each retaining their unique colors and grain. Sorry, it doesn’t come with Matzah. 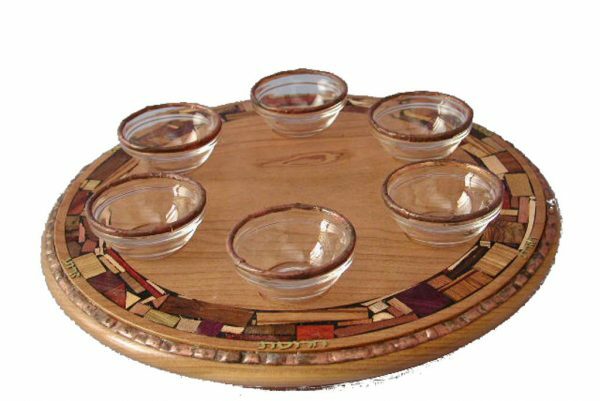 Sure to be a conversation piece at your table next Pesach! Great to bring as a Passover gift!